This peplum top looks amazing on you!! I have no waist, so I always shy away from peplums, but this is making me want to just give it a try. I've noticed that Kate Spade is your go-to spot for clothes/accessories! I really think it makes your style unique! 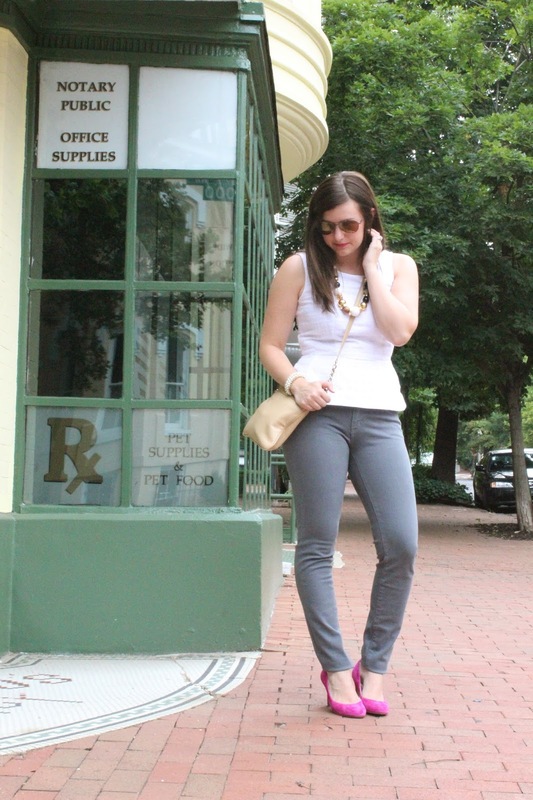 And I love the peplum top and gray jeans on you:)!